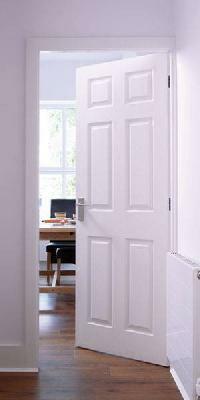 This six panel Fire door with a smooth surface gives a great opportunity for a traditional high gloss paint ﬁnish. The popular six panel grained design will suit a variety of interiors. This elegant door can be used to create a modern or classic look.